P. Angelides & Co LLC has one of the strongest litigation departments in Cyprus. The firm has an exemplary record at Supreme Court setting precedents in civil, commercial and administrative law. The firm’s members have represented several local banks, co-operative credit societies, debtors and investment, finance and insurance companies. 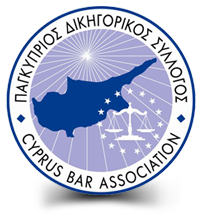 Members of our litigation department provide consultation on various constitutional and administrative law issues including, Tender offers, Administrative penalties, Appeals before the Supreme Court under Article 146 of the Cyprus Constitution representing pubic bodies and individuals. P. Angelides & Co LLC offers debt collection services in Cyprus primarily, but our services extend to other countries including those belonging to the EU, Russia and other CIS countries. Our firm makes every effort to respond promptly and effectively to our clients’ requests and individual needs. It operates on the basis of regular communication with clients in order to assist them in monitoring the position and status of their claim.